Weekday mornings can feel like a balancing act. 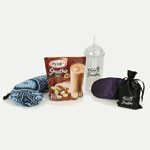 Between scrambling to get yourself ready and the kids dressed for school, it can be a challenge to fit in a good, hot breakfast that will set you up for a good day. 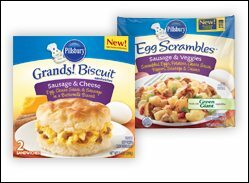 Now Pillsbury is bringing your weekend favorites to the weekday breakfast table with new Pillsbury Grands!® Biscuit Sandwiches and Pillsbury Egg Scrambles™. 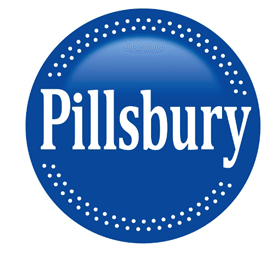 Available in your grocer’s freezer, Pillsbury Grands! 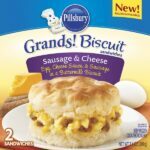 Biscuit Sandwiches and Pillsbury Egg Scrambles heat up in minutes in the microwave. 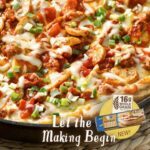 Disclaimer: “The VIP coupons, prize pack, information, and giveaway have been provided by Pillsbury through MyBlogSpark.”” Opinions are my own and NOT influenced by monetary compensation. You may read more of my disclosure here. 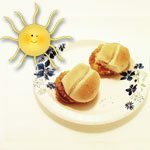 My favorite breakfast is anything I can eat in the car -hoping these sandwiches are toteable!! My fav breakfast is homemade french toast and bacon! Delish! I love a loaded omelette with peppers, spinach, mushrooms, black olives, ham and cheese, but I rarely have one and coffee is usually what I end up having for breakfast since I’m always in a rush in the mornings. I think that I’ll have to say biscuits and (sausage) gravy. There is a place 3 blocks from my apartment that has the greatest biscuits and gravy, but I don’t go there often. I love eggs and home fries! my fave breakfast meal is BREAKFAST PIZZA! 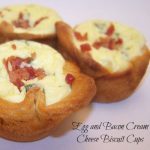 biscuit dough for the crust, eggs, crumbled bacon, lots of cheese, sausage and gravy! I like egg & cheese burritos. My favorite breakfast is granola and yogurt! I love Grits and Fried Eggs. I love WaWa Pancake Sizzli’s…YUM! Bacon, eggs, and hash browns with whole wheat toast or a bacon, egg, and cheese on and english muffin. I loves pancakes and sausage! I LOVE Biscuits & Gravy!!!!!! Eggs benedict will always be my favorite but it’s hard to find(good) nowadays- so lately IHOP’s stuffed french toast. My favorite is eggs, grits, toast, and bacon. My favorite is eggs benedict but because it’s so fattening I only have it once a year on holidays or at Christmas! My favorite is french toast with maple syrup and a side of bacon. Thanks. Eggs (any kind), bacon, and pancakes. YUM!!! My favorite breakfast meal is sausage gravy and biscuits 🙂 *Thanks* for the giveaway! My favorite breakfast meal is Honey Nut Cheerios w/ sliced banana. Or granola w/ banana. Fried eggs, cheese grits, and biscuits. I like eggs with bacon. My fav breakfast is an omlet woth onions, green pepper, ham and cheese. My favorite breakfast is bacon, egg, and cheese on a biscuit! Yum! I love omelet, home fries and toast. I love Belgian waffles. Home made ones!!! Yum. I love Biscuit & gravy, bacon and eggs. I love peanut butter toast and a glass of oj. Chipped beef gravy on biscuits with scrambles eggs. I love either a bowl of hot oatmeal or a full breakfast that my sister cooks with everything from biscuits to hash browns. eggs and sausage are my favorite! My favorite breakfast meal is bacon, toast and eggs!